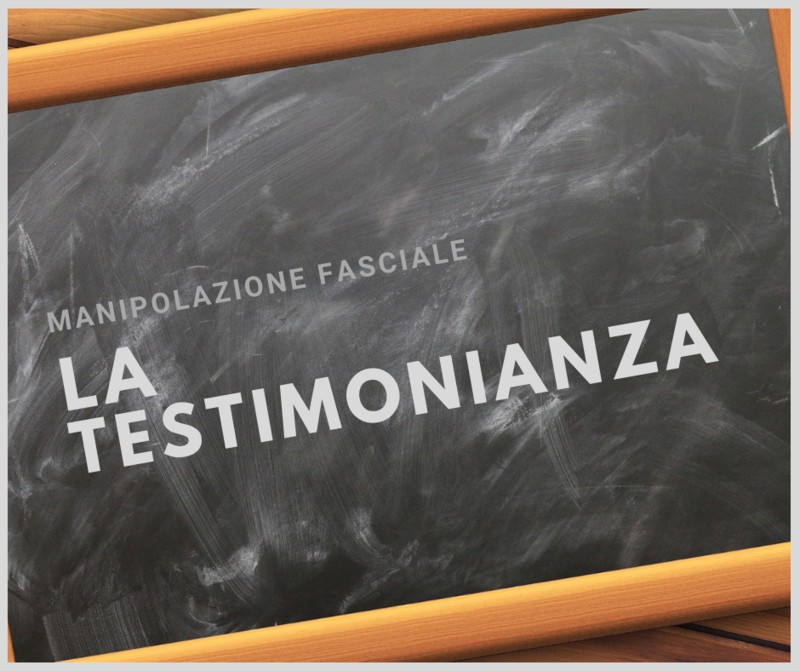 The Testimony is a cycle of articles dedicated to the narration of patient’s treatment experiences and the learning of the Fascial manipulation method by the students, so they can express their personal opinion in the knowledge path of the discipline. For privacy reasons, names may have been changed on request of the author of the testimony. «I am studying and practicing the Fascial Manipulation every day and am seeing some very good results that I was not able to achieve before. It is making a great difference in the quality of life of my patients and I thank you for your sincere and dedicated work to develop this body of knowledge. I have so very much to learn and will continue with my studies. This past week alone, a patient burst into tears after feeling relief of chronic headache pain and said that not a week had passed for several years that she did not have the thought that she might be better off to die than to endure the chronic pain she was experiencing. I am humbled that as naive an understanding as I have, I was able from your guidance to help her».